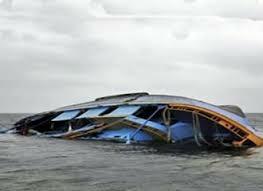 According to the United States Coast Guard, 5,438 boating accidents were reported in 2011. These accidents were the cause of 3,474 injuries, 710 fatalities and over $43 million in property damage. At the time of most accidents, drivers are either not paying attention, drinking, acting recklessly, operating at dangerous speeds, and/or they are inexperienced boaters. Alcohol use was cited as the leading cause of fatal boating accidents with 20% fatalities. Sadly, this lack of safety results in tragic consequences for innocent people. If you’ve been the victim in a boating accident, we are ready to fight aggressively to help you get the compensation you deserve. And while some attorneys simply pursue the insurance company, our team works to ensure that you receive all the money you may be entitled to receive. For a free consultation, please call 1-800- WE-WIN. If you prefer, you may complete the requested information, and a representative from our office will be in contact with you shortly.